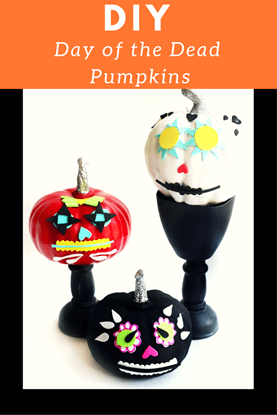 I love crafting with dowels because they are so darn inexpensive. 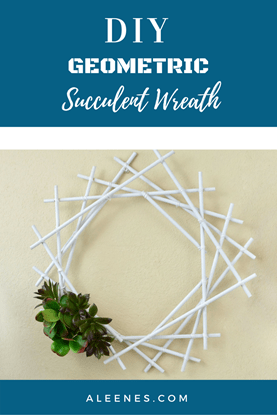 The base of this wreath is one you can easily customize to your personal tastes or for an upcoming holiday. 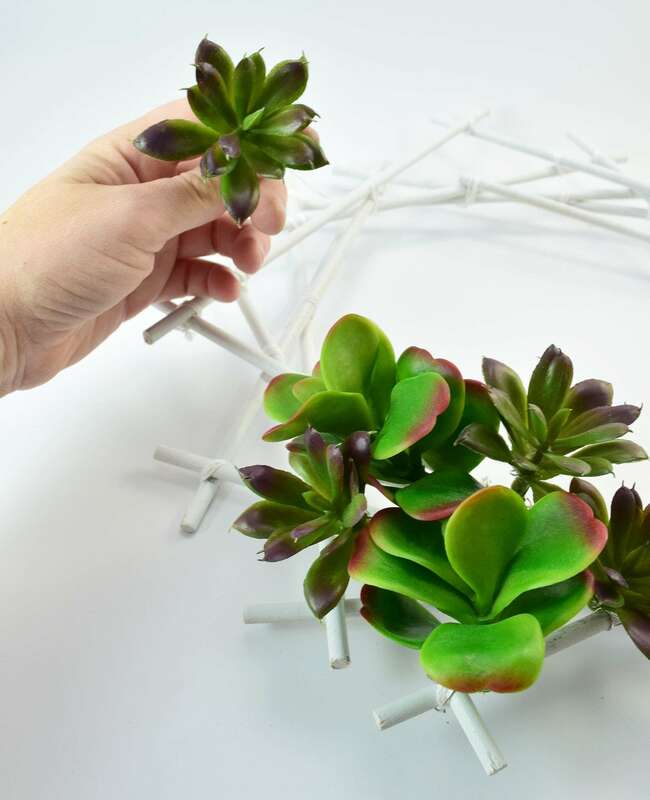 With succulents being just as hot as geometric designs in the DIY world it seemed a good idea to put the two together for one fabulous all seasons wreath! 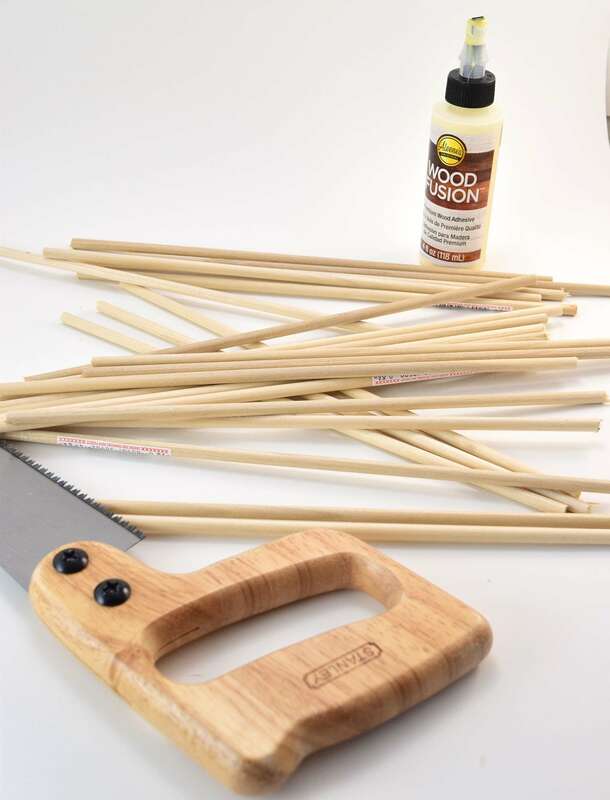 Cut your 48" dowels into 12" pieces. 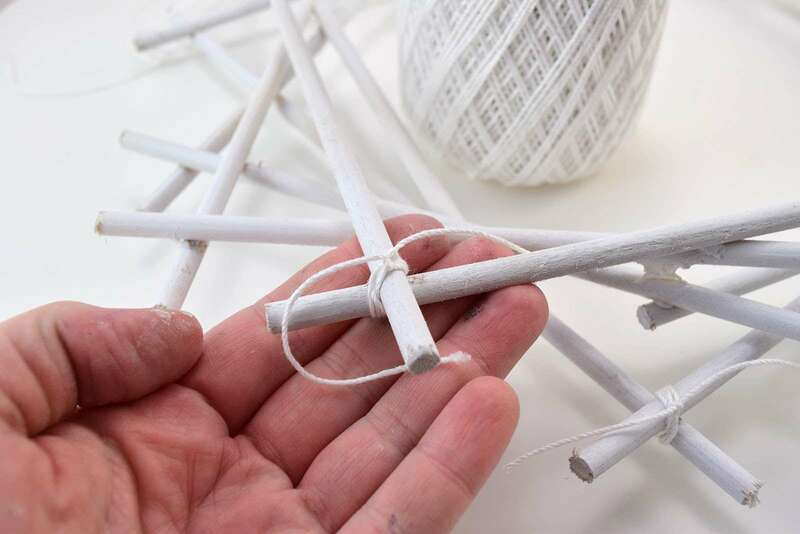 You'll get 4 pieces per dowel. 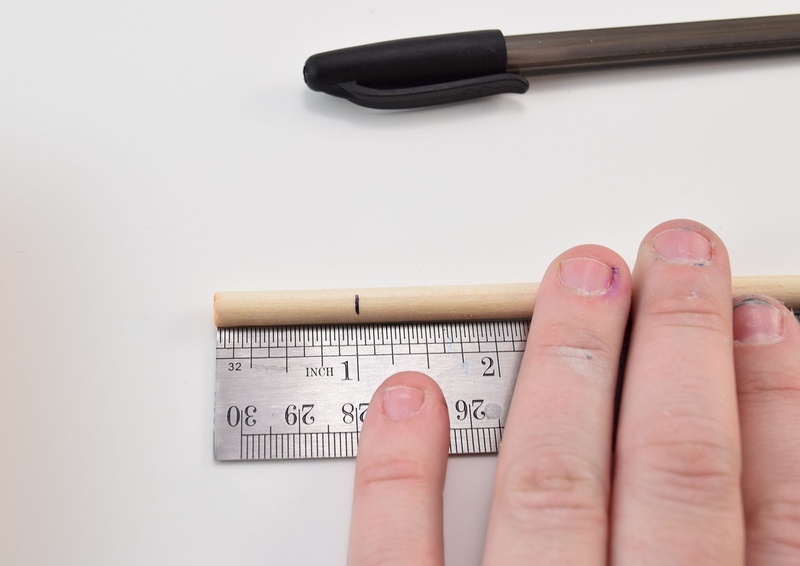 Measure 1 inch in on both sides of your dowel. Carefully use your saw to create a notch at these points 1 inch in on each side for half of your dowels. Be sure that the notches are even with each other, that's to say both on the same side. If you have one on the top and one on the bottom it won't be any good! 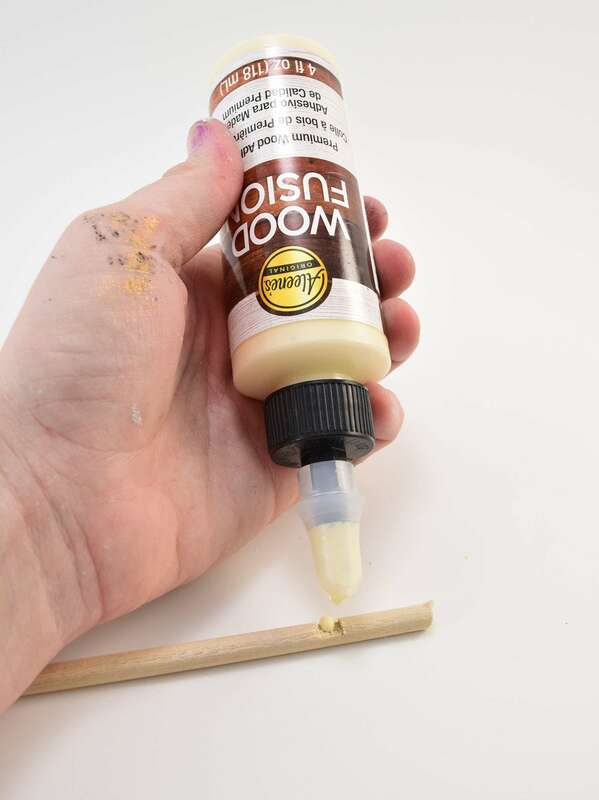 Place a bubble of Aleene's Wood Fusion glue into the notches on 2 of your dowels. 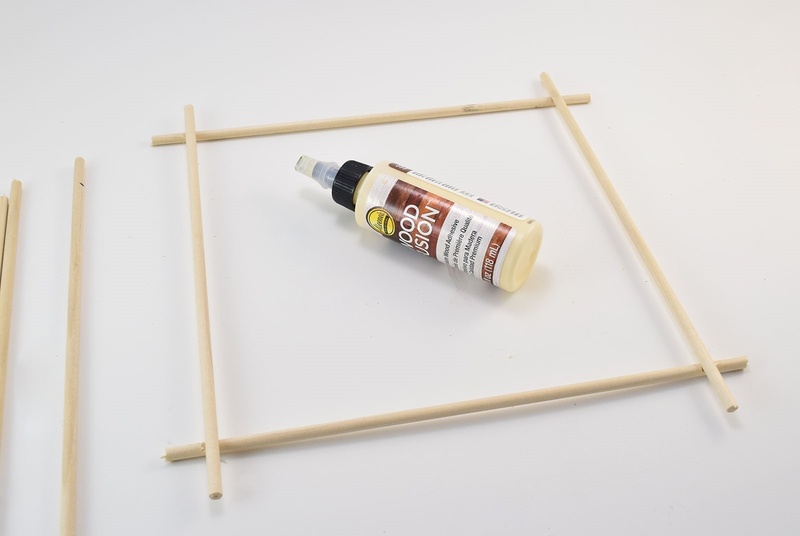 Place 2 dowels without notches onto the wet glue, approximately 1 inch in to create a square. You'll have about 1" of wood sticking out on every side if done correctly. Lay on a flat surface and allow to dry, overnight is best. 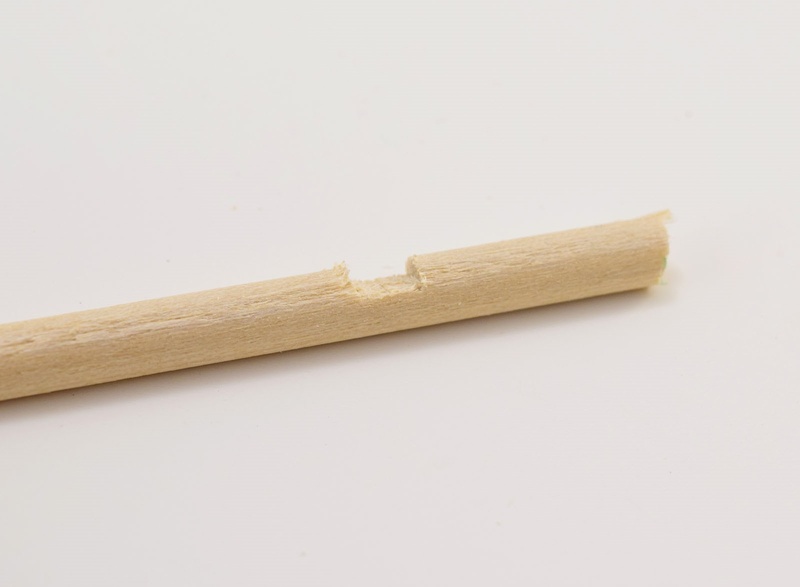 Continue with all of your dowels until you have 5 squares. The next day take your squares and begin stacking them turning them little by little to create a fun, geometric shape. It might take some time to play with the squares until you are happy with the design. 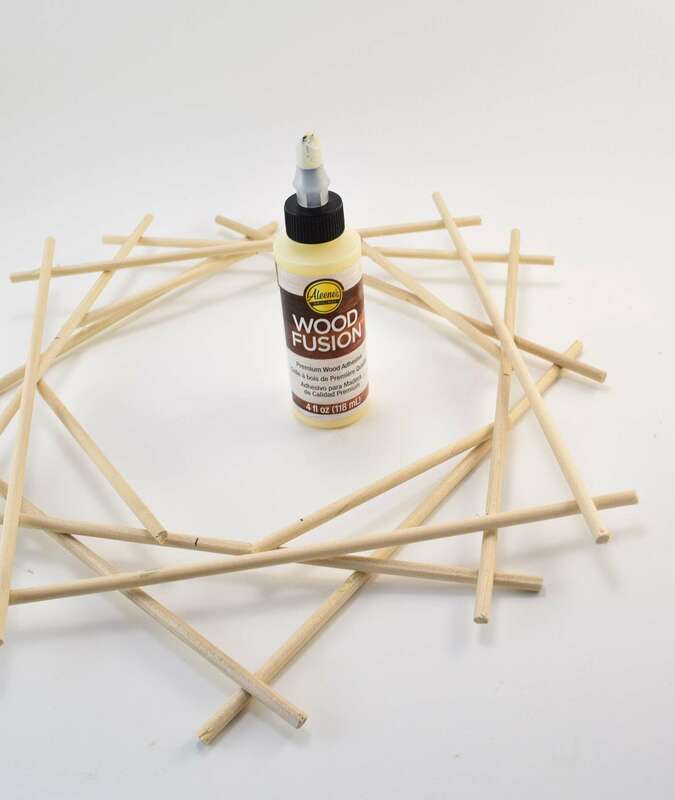 Place a drop of glue on every place where wood connects with wood. 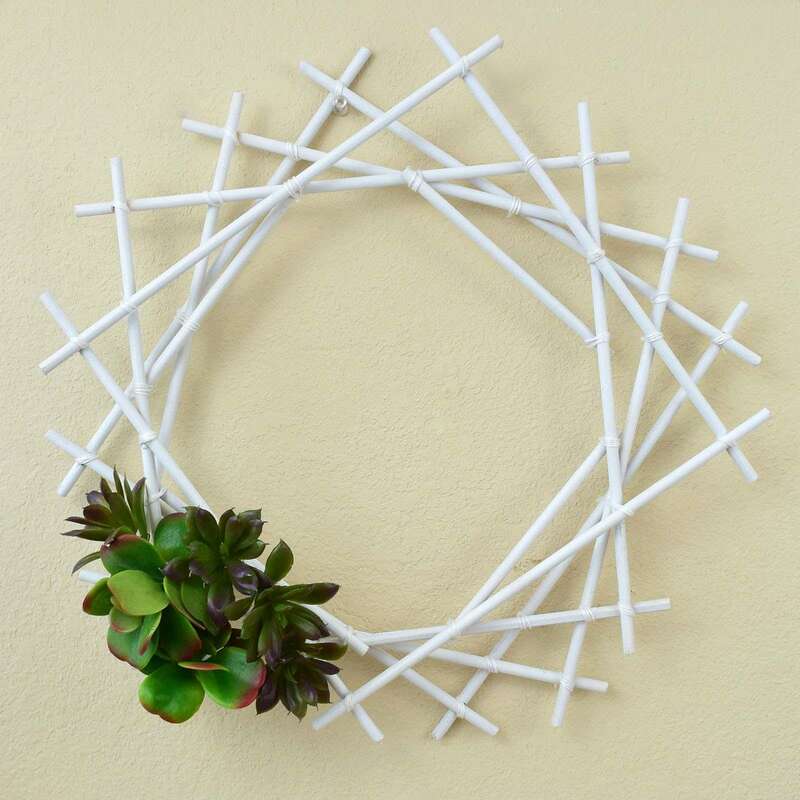 Keep the wreath flat and allow to dry. Overnight, again, is best. Once dry paint or stain your choice of color. For a modern rustic look wrap and tie string (again, this is crochet thread) around every area where the wood connects. Since the pieces are already glued together this is for looks only. 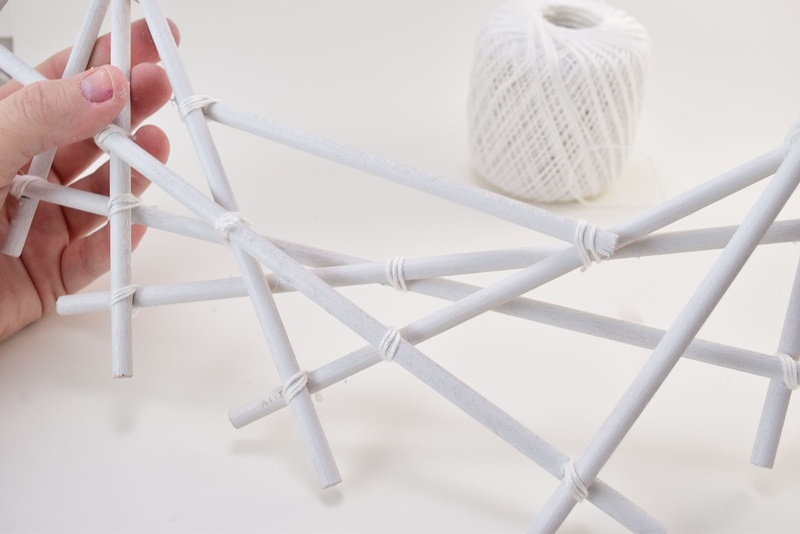 Continue wrapping and tying your thread until all of the joints/intersections are covered. 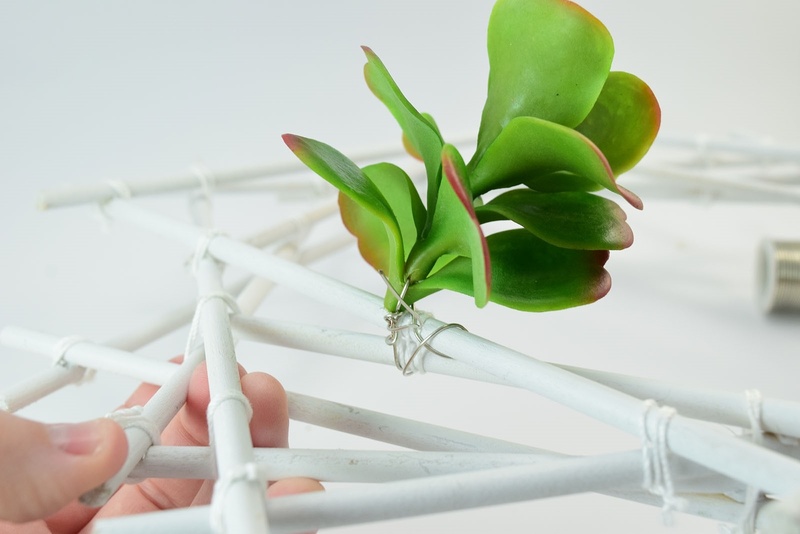 To embellish with succulents, or silk florals run wire through or around the bottom of each flower or bunch. Here I used jewelry wire because the silver would be far less noticeable on the white than the green floral wire I have on hand. Be sure to leave a tail of several inches of wire. Use that tail to wrap around and around the wreath to secure your floral in place. Tuck away the cut end. 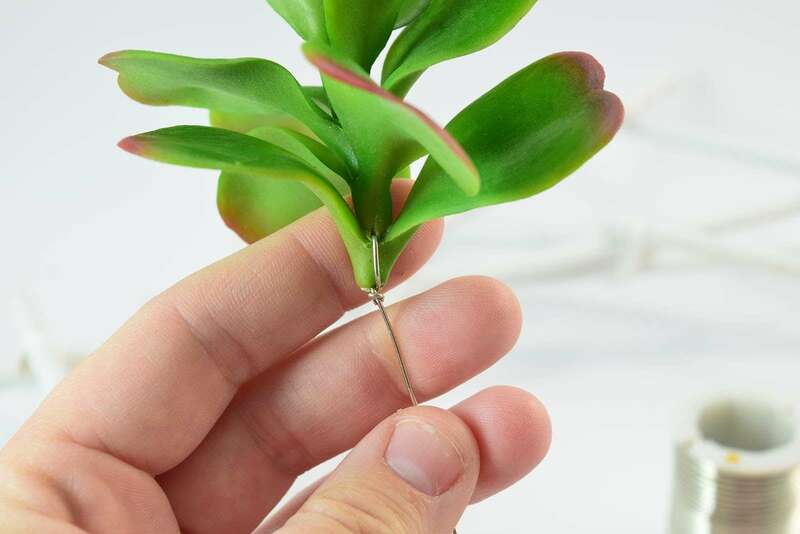 Continue adding your succulents until you're happy with the fullness. 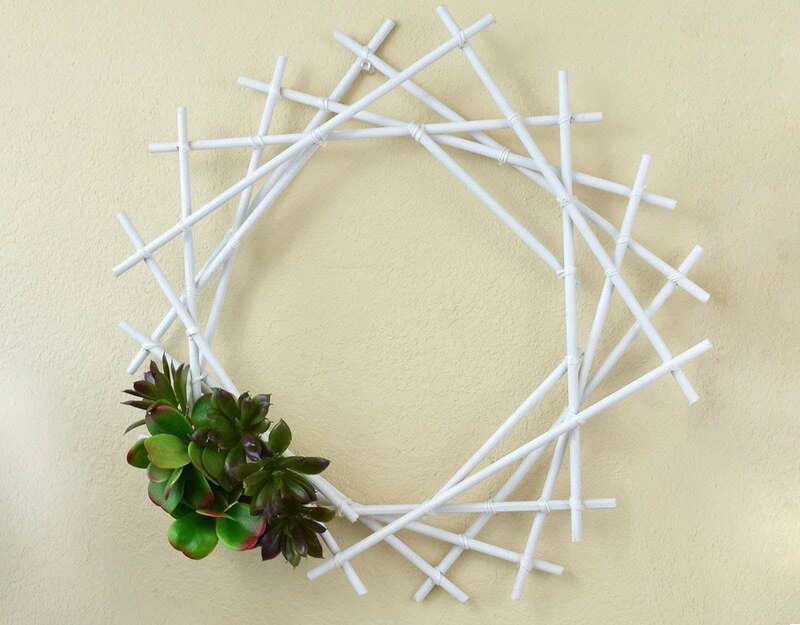 Once hung this simple, inexpensive wreath is quite the statement piece for any wall and fabulously on trend!